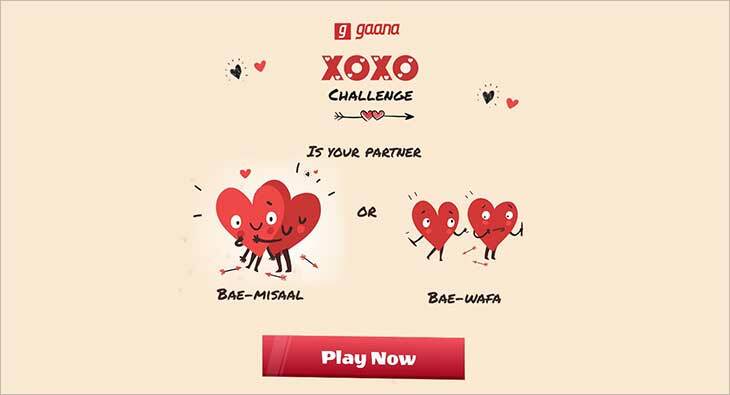 Music streaming app Gaana has launched the XOXO challenge, laying emphasis on the significance of compatibility in a relationship. The challenge will offer a rare opportunity for music lovers to find out the level of connection between each other. With a series of music-centric questions that both partners will have to answer, the app will inform them about their chemistry based on whether their musical tastes match. Users can click on the ‘Stories’ section of the Gaana app, click on the ‘XOXO’ challenge and answer four simple questions regarding their favorite song, singer and music preferences. Once they complete the quiz, they’ll be able to invite their ‘BAE’ to play. Once both partners have finished the quiz, they will know their compatibility score.